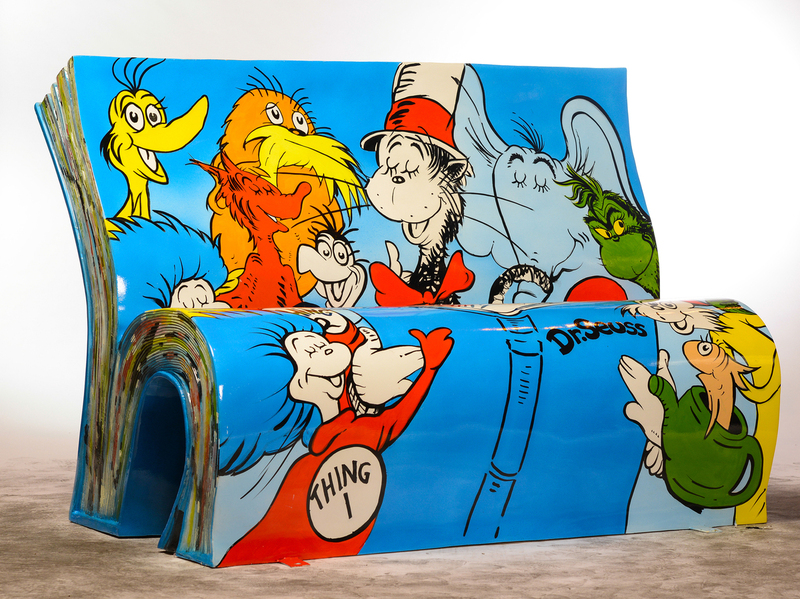 With Bright Benches, London Shows Off Its Love Of Books : The Two-Way The National Literacy Trust commissioned 50 artists to paint benches with scenes from famous books and placed them around London for the summer. Chicago had cows, St. Louis has cakes and now London has benches that look like opened books. 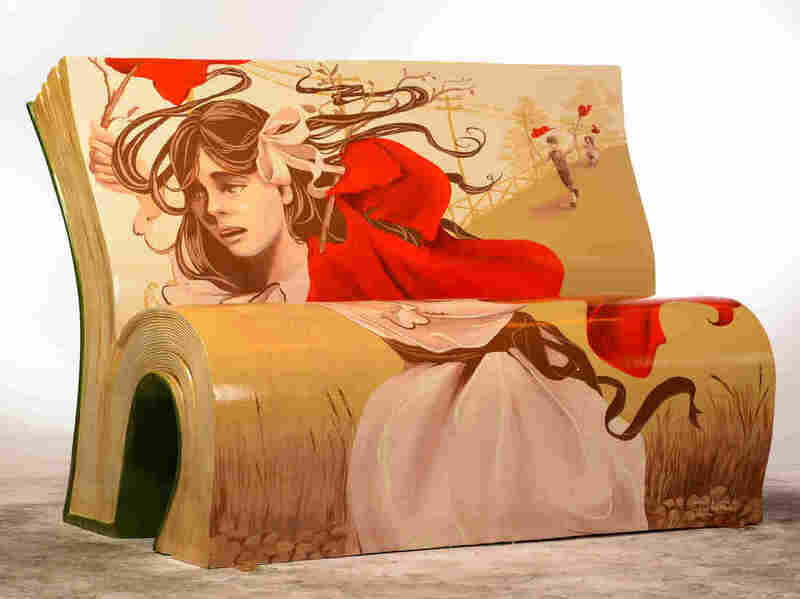 The National Literacy Trust, along with public art promoter Wild in Art, has commissioned and placed 50 benches around town that are painted to look like pages and scenes from famous books. 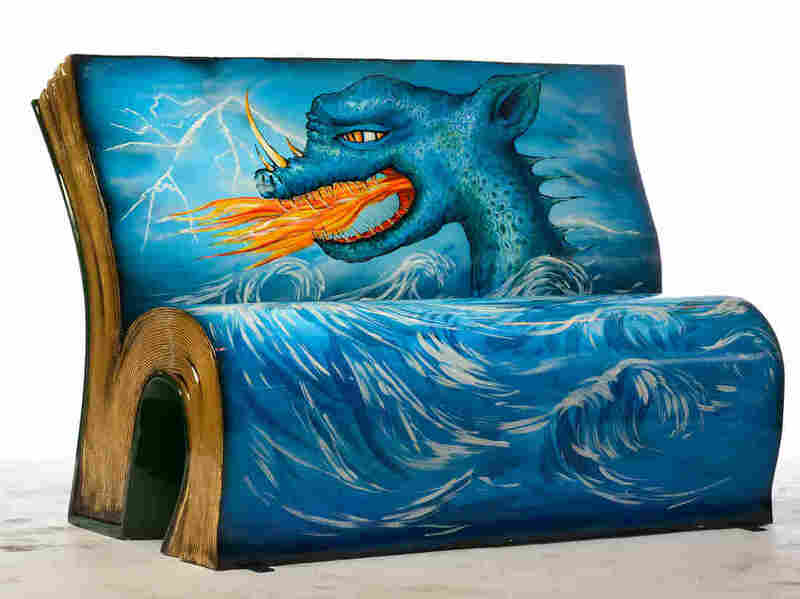 Among the artists participating are Ralph Steadman, who re-created illustrations from his 1973 edition of Through the Looking-Glass; Rae Smith, the set designer for the stage version of War Horse; and How to Train Your Dragon creator Cressida Cowell. 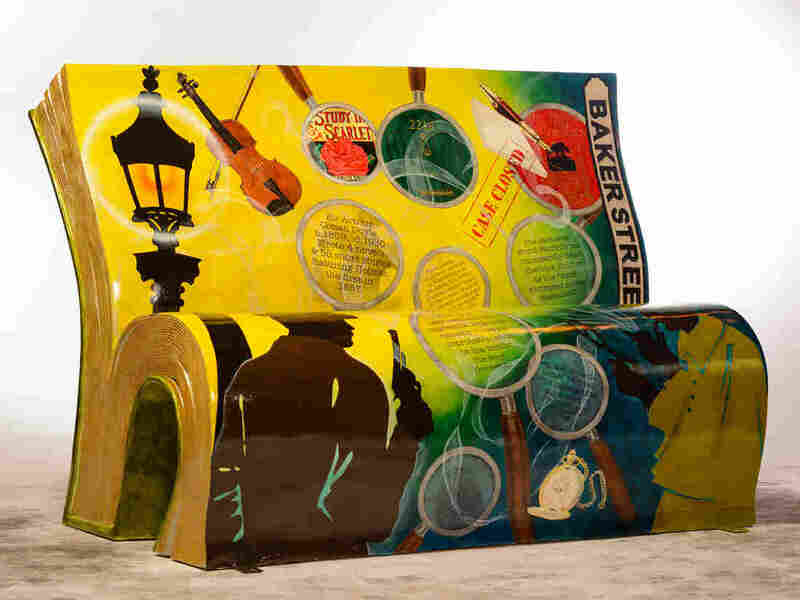 In addition to the benches, which will be auctioned off in October, the project will include several literary-themed events, "such as an attempt to break the world record for the most number of people dressed as Sherlock Holmes, next to the Arthur Conan Doyle-inspired bench outside the University of London," according to Time Out. Fiona and Neil Osborne designed this salute to the 1905 classic The Railway Children. How To Train Your Dragon author Cressida Cowell invites people to sit and "imagine dragons wheeling above you in the skies."